DrupalCon Vienna Full Site Launched! Speaking of Vienna, in April we launched the full site for DrupalCon Vienna which will take place from September 26-29th, 2017. If you're going to join us in Europe you can book your hotel now, or submit a session. Registration for the event will be opening soon! Each year at DrupalCon the location of the next conference is held as closely guarded secret; the topic of speculation, friendly bets, and web crawlers looking for 403 pages. Per tradition, at the closing session we unveiled the next location for DrupalCon North America - Nashville, TN taking place from April 9-13th in 2018. But this year there was an extra surprise. We've unveiled the new brand for DrupalCon, which you will begin to see as the new consistent identity for the event from city to city and year to year. You'll still see the unique character of the city highlighted for each regional event, but with an overarching brand that creates a consistent voice for the event. Users on Drupal.org may now star their favorite projects - making it easier to find favorite modules and themes for future projects, and giving maintainers a new dimension of feedback to judge their project's popularity. Users can find a list of the projects they've starred on the user profile. Over time we'll begin to factor the number of star's into a project's ranking in search results. At the same time that we made this change, we've also added a quick configuration for managing notification settings on a per-project basis. Users can opt to be notified of all issues for a project, only issues they've followed, or no issues. While these notification options have existed for some time, this new UI makes it easier than ever to control issue notifications in your inbox. One of the important functions of Drupal.org is to help Drupal site builders find the distributions, modules, and themes, that are the best fit for their needs. In April, we spent some time improving project browsing and discovery. Search is now weighted by project usage so the most widely used modules for a given search phrase will be more likely to be the top result. We've also added a filter to the project browsing pages to allow you to filter results by the presence of a supported, stable release. This should make it easier for site builders to sort out mature modules from those still in initial development. In response to user feedback, we've updated the visual display of Documentation Guides, to create a clearer distinction between the guide description text and the teaser text for the content within the guides. To leverage Drupal to the fullest requires a good hosting partner, and so we've begun promoting our hosting listings on the Download and Extend page. 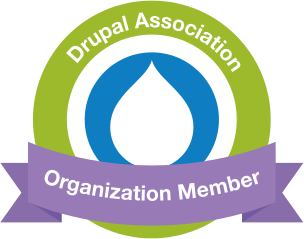 We want Drupal.org to provide every Drupal evaluator with all of the tools they need to achieve success—from the code itself, to professional services, to hosting, and more. For developers using Composer to manage their projects, sub-tree splits of Drupal Core and Components are now available. This allows php developers to use components of Drupal in their projects, without having to depend on Drupal in its entirety. In the past, if the DrupalCI system encountered an error when attempting to run a test, the test would simply return a "CI error" message, and the user who submitted the test had to manually submit a new test. These errors would also cause the issues to be marked as 'Needs work' - potentially resetting the status of an otherwise RTBC issue. We have updated Drupal.org's integration with DrupalCI so that instead of marking issues as needs work in the event of a CI Error, Drupal.org will instead automatically queue a retest. Finally, we've fixed a bug with the DrupalCI's automatic RTBC retest system. When Drupal HEAD changes, any RTBC patches are automatically retested to ensure that they still apply. It is only necessary to retest against the default or last-used test environment to ensure that the patch will work, but the automatic retests were being tested against every configured environment. We've fixed this issue, shortening queue times during a string of automatic retests and saving testing resources for the project.